Here at Back to Health Wellness Center, our primary goal is to live up to our name by helping you overcome a wide range of health challenges. The human body must recover from (or protect itself against) all kinds of potential ailments and injuries in order for you to keep enjoying optimal function, comfort, and quality of life. That's why our chiropractor in Sarasota, FL, Dr. Kuskin, offers multiple healing modalities that can work together to correct the musculoskeletal and neuromuscular issues that underlie your condition. You might be surprised to discover just how many different health problems involve joint alignment errors and/or soft tissue strain. 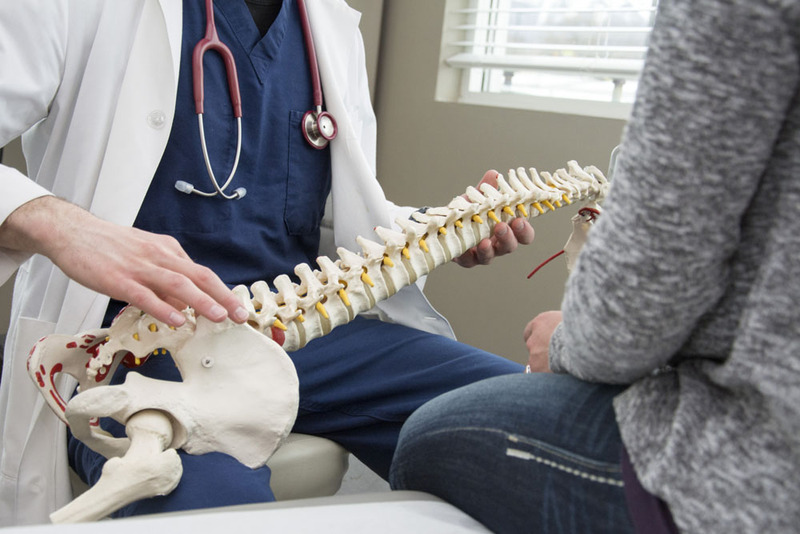 In addition to the acute injuries that can cause sudden, severe damage, your body can develop chronic or recurring problems due to long-term spinal imbalances, degenerative changes in the joints, or repetitive motion injuries due to overuse of a particular body part. Imbalances that affect nerve function can even affect your systemic health. Neck or back pain - Neck or back pain may be due to poor posture, acute injuries, arthritis of the spinal joints, spinal stenosis, repetitive motion strain and other triggers. We can use cervical spinal adjustments, massage therapy, and other corrective techniques o help your neck feel better. Bulging or herniated discs - Bulging discs may put stress on the spinal joints while also pressing against critical nerve tissues. Herniated discs actually rupture, squeezing their inner contents onto the nerves and causing problems such as sciatica. Our spinal decompression therapy can safely and non-surgically move these troublesome discs back into a more normal position. Auto accident injuries - Even a low-speed auto accident can alter your spinal alignment, causing neck and back pain as well as pinched nerves and soft tissue damage. We can provide you with a customized whole-body auto accident recovery program. Whiplash - Whiplash is most often associated with auto accidents in which the head is thrown forward and backward. This form of neck injury causes painful stiffness, headaches, mood changes, TMJ and other symptoms. Cervical adjustments, therapeutic massage, and physical therapy can help you get your neck back to normal. Personal injuries - Even a "minor" slip-and-fall or lifting injury can strain muscles, herniated discs, and dislocate joints. We can prescribe exercises, ultrasound, electrical muscle stimulation, and chiropractic adjustments to speed healing and help you regain function. Chronic pain - Chronic pain and other systemic health challenges can stem longstanding buildup of stresses and tensions. Our BrainTap Technology can help you trade those negative influences for positive reinforcement. Ready to get help for your particular health challenge? Call 941-351-2555 for an appointment with our chiropractor in Sarasota, FL.